Newtown: Crying for Change | Laura's "Rules"
A friend with two young children told me today that she still can’t look at any of the news without losing it. I’ve been intermittently crying over my keyboard as well, clicking through article after article, looking for answers. I have utter contempt for anyone not screaming bloody murder for gun control. Utter, total contempt. I despise you. People are obviously upset. On the list serv, there has also been a predictable, though less heated, conversation about whether a parenting listserv is an appropriate place for a debate over gun control. On that one, it seems to me, those who see the lack of sensible gun control measures in the U.S. as a public health and safety problem — and, more pointedly, as a threat to our children — have the better argument. Is gun control a parenting issue? In a word, yes. Though I would never use the bellicose words of the angry parent from the list-serv — let’s not invent another “war,” please — as Lisa Belkin wrote for Huffington Post, enacting reasonable measures to limit access to guns is a common-sense way to better protect our children from harm. In the New York Times, Nicholas Kristof compared the need for better gun control laws to the steps we take to ensure driving safety, like measures such as graduated driving programs for teens. He’s right, of course. The grief is overwhelming. And while parents are certainly not the only ones heartbroken by the incredible loss in Newtown, they have also been at the center of the coverage — from the amazing grace of Robbie Parker, the grief-stricken father who, while mourning his 6-year-old, mentioned the suffering of the Lanza family, to the pressing and urgent questions about Adam Lanza’s relationship with his mother, her enthusiasm for guns, and what events could have led to such violence. Indeed, parenting is a powerful metaphor. A parent carries both duty and responsibility, and wields love in the form of judgment and compassion. A parent is fundamentally vulnerable to the world and its risks for his or her child, and must do what they can to protect their child from harm. With schools, we say that they are, legally speaking, in loco parentis, or, quite literally, local parents. The goal of good parenting is to balance freedoms with an accurate assessment of the possibility for harm, and to make sound decisions that allow children to assume responsibility if and when they are ready. There are limits to the power of this love, obviously, as we cannot protect our children from everything, or sometimes, even from the threats they pose to themselves. And sometimes we are too exhausted to do the smaller tasks well. But we all understand that we must try, and must try to get it right, as our first moral calling. It is self-evident that children should be able to go to school without a risk that they will encounter an armed gunman. Or to the mall. Or to the movies. Yet each of these public spaces have been invaded by murderous madmen just this year. This is unacceptable, and we should no longer accept it with passivity, excusing inaction by politicians and regulators. In fact, to do so would for us be to fail a basic obligation of parenting: to do all we can to keep our children — and the children of other people — safe. Good parenting decisions require sound information. We ask: what are the risks? How many guns are there in the country? In my state? Who owns them and what kind? What assurances do we have — in the form of background checks or training — that they will not be used against our children, intentionally or by accident? What legal restrictions keep them out of the hands of the mentally ill? Yet none of these fundamental questions can be answered today. This is the first problem we have to solve, together. The federal government has no way of knowing even how many guns are produced and sold each year — because the gun manufacturing lobby long ago made it impossible, under federal law, to collect this information. In Virginia, the gun lobby got all of the historical gun ownership records destroyed. The federal ban and related state bans actually prevent authorities from centralizing gun sales records in order to effectively keep them out of the hands of criminals or those deemed mentally incompetent. This federal bar on obtaining clear information must be addressed by Congress, which re-enacts this ridiculous law as part of an annual appropriations bill each year. On May 19, 1986, President Reagan signed the Firearms Owners’ Protection Act into law. The FOPA repealed important components of federal gun laws, making it easier for criminals to buy weapons and more difficult for law enforcement to prosecute gun sellers who supply the criminal market. Three major changes severely handcuffed federal gun law enforcement. 3. Allowed unlicensed individuals to sell their firearms as a “hobby” without a federal firearms license, thus avoiding meaningful regulations. Due to the FOPA and the information collection bans, the NRA’s lobbying successes cast a cloud over the government’s enforcement of existing laws and obscure their ability to create new and sounder systems to track the flow of guns and dangerous ammunition, and to keep them out of the hands of criminals and those with serious mental health problems. a detailed list of steps the government could take to expand the background-check system in order to reduce the risk of guns falling into the hands of mentally ill people and criminals. … ways to bolster the database the F.B.I. uses for background checks on gun purchasers, including using information on file at other federal agencies. Certain people are barred from buying guns, including felons, drug users, those adjudicated mentally “defective,” illegal immigrants and people convicted of misdemeanor offenses related to domestic violence. For example, the study recommended that all agencies that give out benefits, like the Social Security Administration, tell the F.B.I. background-check system whenever they have made arrangements to send a check to a trustee for a person deemed mentally incompetent to handle his own finances, or when federal employees or job applicants fail a drug test. It also proposed setting up a system to appeal such determinations…. In 2008, Congress called upon federal agencies that might know whether someone is mentally ill to make sure the F.B.I. database had that information. But most agencies that have such information — as varied as Social Security and the Railroad Retirement Board — have yet to comply. The Department of Veterans Affairs, by contrast, does share its data about instances in which benefit checks are sent to a trustee because a recipient has been deemed mentally incompetent. Republicans in Congress have introduced a bill, the Veterans Second Amendment Protection Act, that would end the practice. All this makes clear, parents can’t do it alone. No family is an island. Parents need the government to do its job — proper security measures in schools, sufficient tracking and training and registration for safe gun ownership, and a far more robust system of support for parents whose children are affected by mental illness. My heart was broken all over again by this mom’s desperate plea for assistance with her frightening child, and by her description of the impossibility of getting real help for him outside a prison term. Mental health parity is still more concept than reality, and figuring out effective supports for families and children in trouble must be part of a compassionate, responsible approach that both cares for these individuals and keeps us all safe. Recent poll numbers from Gallup suggesting that fewer Americans want to strengthen our gun laws should be taken with a grain of salt, particularly with respect to policies designed to keep guns from dangerous people. A Frank Luntz survey found, for example, that 3 out of every 4 N.R.A. members favored a system that required all prospective gun buyers to pass a criminal background check. In addition, large majorities of N.R.A. members support employee screenings at gun stores, mandating reporting of stolen firearms, prohibiting people on the terrorist watch list from purchasing firearms and prohibiting violent misdemeanants from receiving permits to carry concealed guns. These measures are not in place in most states and are vigorously opposed by N.R.A. leaders and lobbyists. The NRA and gun rights supporters were notably absent over the weekend from the television talk shows, despite multiple invitations, and most appear to be keeping a very low profile. Even the NRA’s social media outreach has virtually “gone dark.” Fox News evidently had to suppress talk of gun control, and did so despite Rupert Murdoch’s apparent support for restrictions. This all makes sense. When conservative commentator and NRA supporter Joe Scarborough suddenly saw the threat to his own children — thinking as a parent — everything changed. This year, the N.R.A. spent over $13 million in a failed attempt to defeat President Obama. In the Senate, the group spent over $100,000 in eight races trying to elect their favored candidates. Seven of the eight lost, most by comfortable margins. Gun advocates note that when surveys ask broad questions on gun control, more Americans say they are against it than for it. But that can’t be a result of our national debate. The last time we really debated the issue – in the 1990s – support for restrictions rose. But after the N.R.A. successfully convinced Democrats that they lost Congress in 1994 and the White House in 2000 because of the gun issue (contentions contradicted by the evidence), Democrats retreated from the issue in fear. So in recent years, the debate has sounded like this: Gun advocates say Democrats are sending jackbooted thugs to take away everyone’s guns, and Democrats assure everyone they have no plans to do anything of the sort. So it’s not surprising that support for “gun control” has fallen. The N.R.A.’s agenda is more about raising money from their members by creating phantom issues instead of promoting safe, responsible gun ownership. Luckily, parents are experts at standing up to bullies. As I’ve seen many times in my career in Congress, when compelling issues of public safety are framed appropriately as sensible protections, even some dyed-in-the-wool conservatives will see the issue correctly. I knew that day that the ideologies of my past career were no longer relevant to the future that I want, that I demand for my children. Friday changed everything. It must change everything. We all must begin anew and demand that Washington’s old way of doing business is no longer acceptable. Entertainment moguls don’t have an absolute right to glorify murder while spreading mayhem in young minds across America. And our Bill of Rights does not guarantee gun manufacturers the absolute right to sell military-style, high-caliber, semi-automatic combat assault rifles with high-capacity magazines to whoever the hell they want. It is time for Congress to put children before deadly dogmas. It’s time for politicians to start focusing more on protecting our schoolyards than putting together their next fundraiser. Amen, my brother, amen. I’ll see you at the vigil. 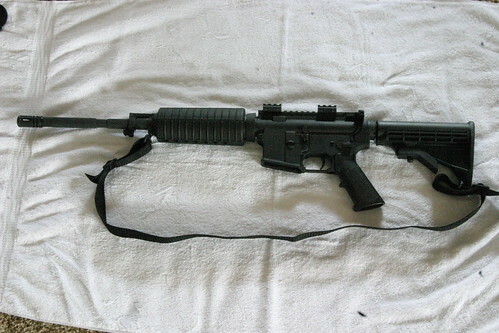 This entry was posted in Parenting and tagged adam Lanza, assault weapons, ban, Brady Campaign, Department of Justice, DOJ, Firearm Owners Protection Act, Gun control, guns, Huffington Post, Josh Marshall, massacre, mental health, National Rifle Association, New York Times, Newtown, NRA, President Obama, registration, regulations, sandy hook, United States by Laura MacCleery. Bookmark the permalink.